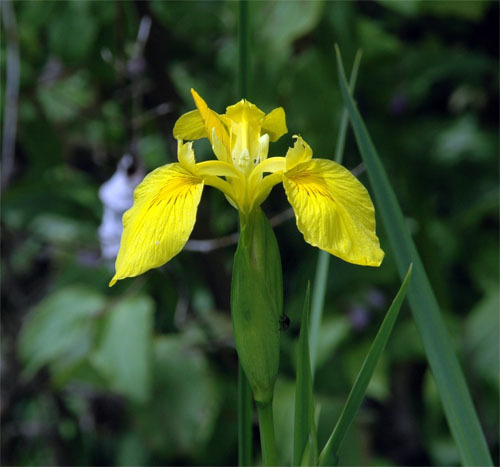 Pale yellow iris is native to Africa, Asia, and Europe and was introduced to North America in the mid-1800s as an ornamental plant for water gardens. It has also been used for erosion control and for making dyes and fibre. 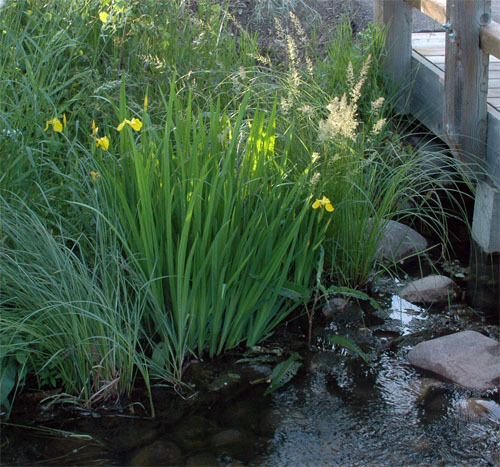 Pale yellow iris can out-compete native aquatic species along shorelines, forming dense thickets like native cattails. Rhizomes of this species form mats that trap sediment. Accumulated sediment causes open water to silt up. 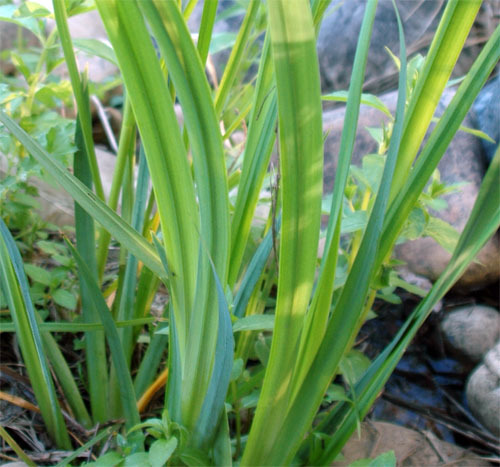 A key characteristic of this plant is large yellow to white flowers that are 8-10 cm wide. Each plant can have 4-12 flowers. Flowers have three large yellow petals and three downward-spreading yellow sepals with brown to purple patterns. 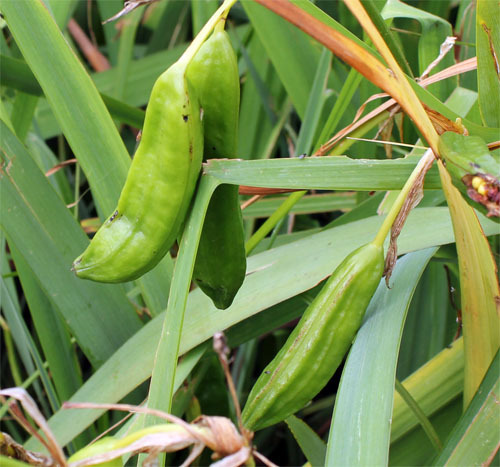 The leaves are flattened with a raised midrib and are 50-100 cm long and 10-30 mm wide.